Omaha Performing Arts 2014/2015 Season! Omaha Performing Arts’ 2014/2015 Season will be a spectacular season of award-winning productions and performers. Highlights of the 2014/2015 Season include THE RADIO CITY CHRISTMAS SPECTACULAR, STARRING THE ROCKETTES, making its debut to Omaha audiences; a celebration of Billie Holiday by jazz songstress Cassandra Wilson; Ballroom with a Twist featuring stars from American Idol and Dancing with the Stars; a special concert by legendary folk singer Arlo Guthrie; and a performance by Omaha favorite Billy McGuigan. Season ticket packages to the six series are available for purchase now. Single tickets to performances go on sale at a later date. Swan Lake at the Orpheum! 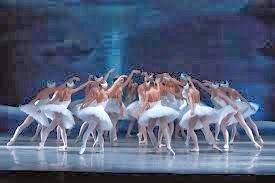 Omaha Performing Arts presents Swan Lake featuring Moscow Festival Ballet at the Orpheum Theater April 30 at 7:30 p.m.
What makes this performance so fantastic???? Russian Dancers To Perform Full-Length Ballet Of Love Lost And Found That's right! Swan Lake will feature the Moscow Festival Ballet at the Orpheum! This is the FULL LENGTH Ballet which is a four act take of love lost. Tickets start at $20 and are available atTicketOmaha.com, 402.345.0606 or at the Ticket Omaha Office inside the Holland Center, 1200 Douglas St.
What is Swan Lake ABOUT???? The Color Run, Kaleidoscope, 2014 Tour! Monster Jam Lincoln, NE GIVEAWAY!!! Codie Prevost Review....All Kinds of Crazy!!! Sea Life Kansas City Aquarium and Promo Code! Jillian Giveaway Winner and Promo Code! Dinosaur Zoo Live in Omaha! New and Improved GAME TRUCK of OMAHA!